Since the shutdown of Docker Cloud, I have been looking for a replacement that is as simple and powerful as Docker Cloud. 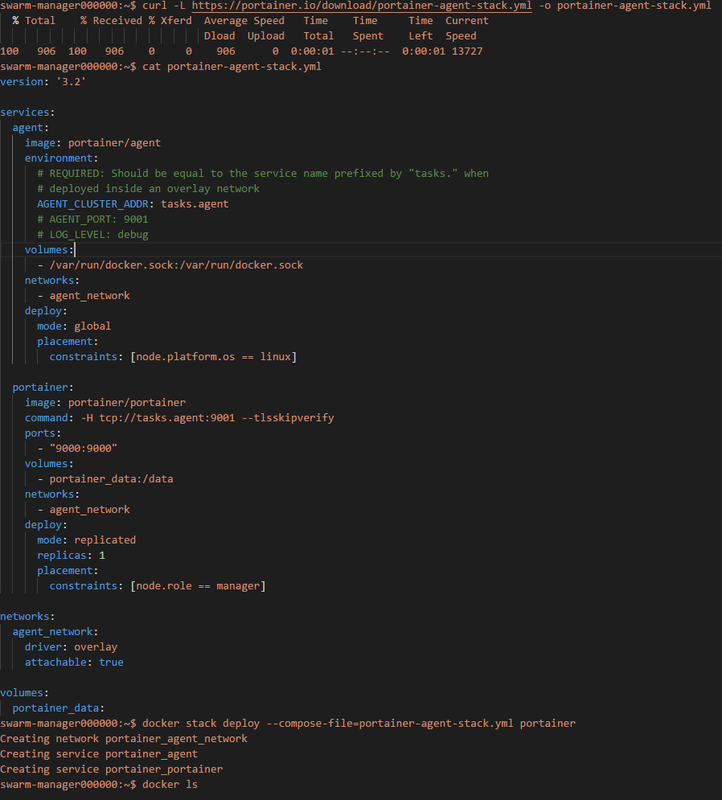 So now I am just trying out different approaches on how to make my own version of Docker Cloud. This is one of the steps towards the ultimate goal that is to create something that is 100% declarative, both for Infrastructure and the Containers running on this Infrastructure. Following the results of this article, we now have a working Docker Swarm on Azure. The plan is use this solution to manage the Containers visually from the web. Docker Swarm does not have any default ‘gui’ that makes it easy to login to the container shell, deploy stacks, monitor cpu and memory. Hopefully Portainer.io can bridge this gap. Let’s find the commands and certificates used in the previous article. You may need to copy the certificate files from the shared volume from /app/ubuntu to /ubuntu. This is because shared volume in Docker for Windows forces all files to get a different file mode which is not possible to change during the volume sharing. 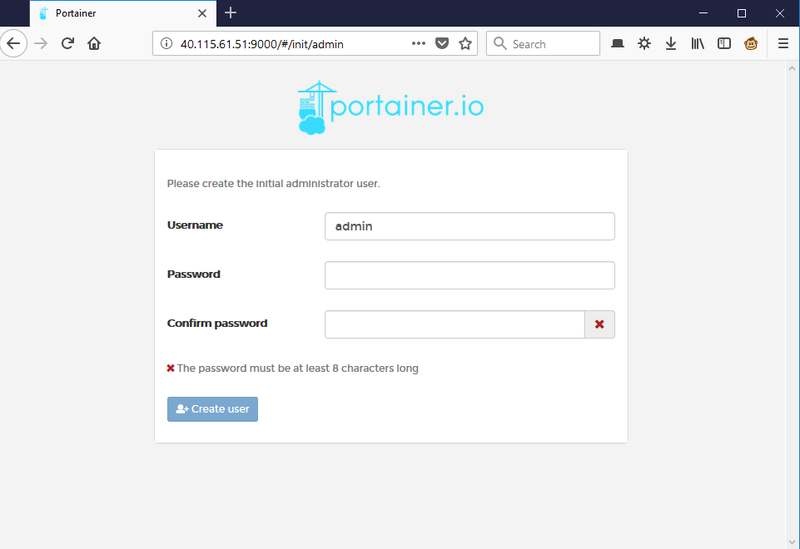 After logging into the Docker Swarm manager, we are ready to install Portainer. Oh my…That was easy, but is it working? And it just works out of the box. That’s indeed pretty fantastic. Goal reached and then some.